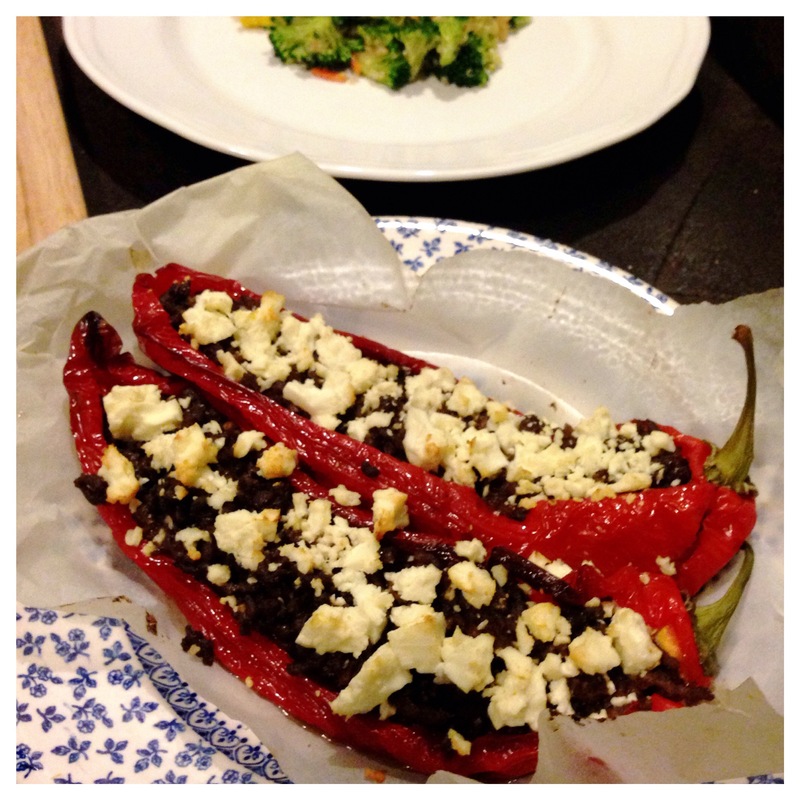 This recipe is simple yet it takes a while because you have to pre roast the peppers before stuffing. I like when the peppers are melting in your mouth and there is no chewiness. 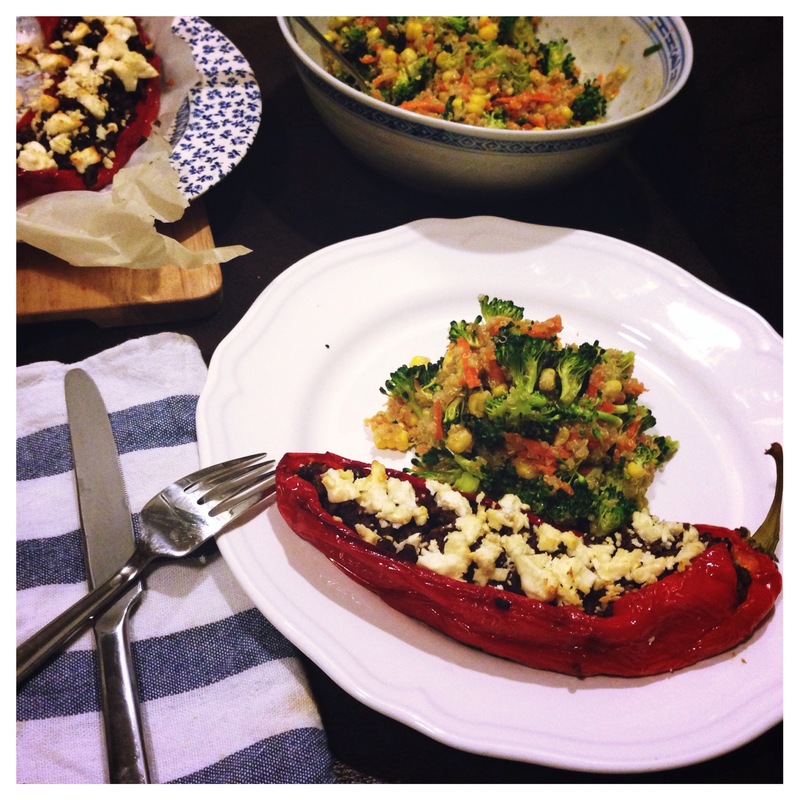 I have done similar dish before and I took the leftover peppers as my lunch to work on the next day and the taste was even better on the next day. There are some very strong flavours in this dish. 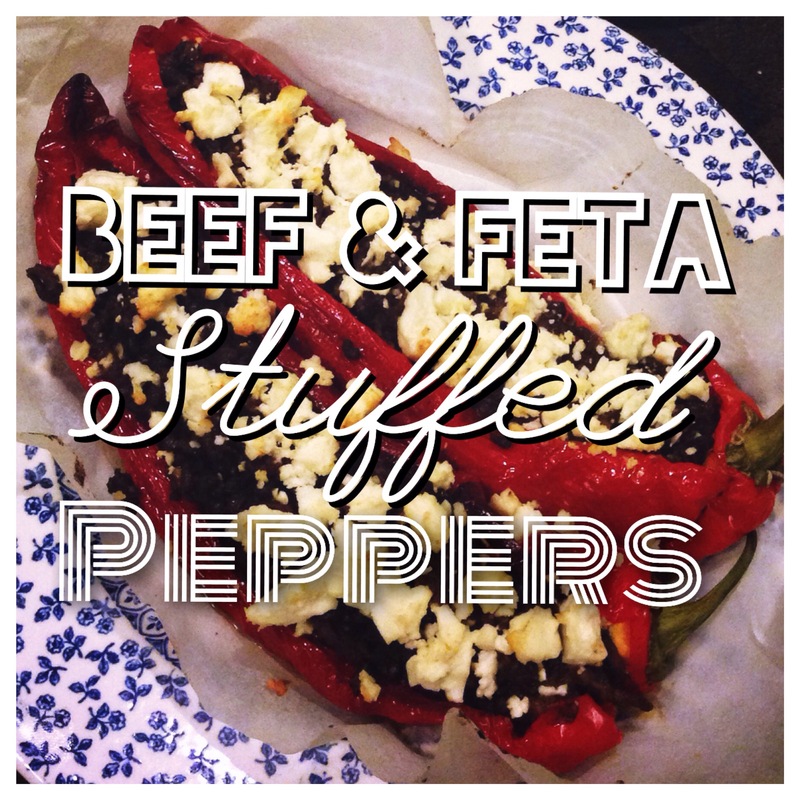 You get the saltiness of feta cheese followed by rich meaty flavour of beef cooked in stock and whisky wrapped in a sweet coat of the pointy pepper. All of that accompanied by a nice fresh salad. Perfect for a light meal when you know that your ultimate christmas feast is approaching soon!! 1. Preheat the oven to 200C. Using a sharp knife make a cut along side of the pepper and remove the seeds. 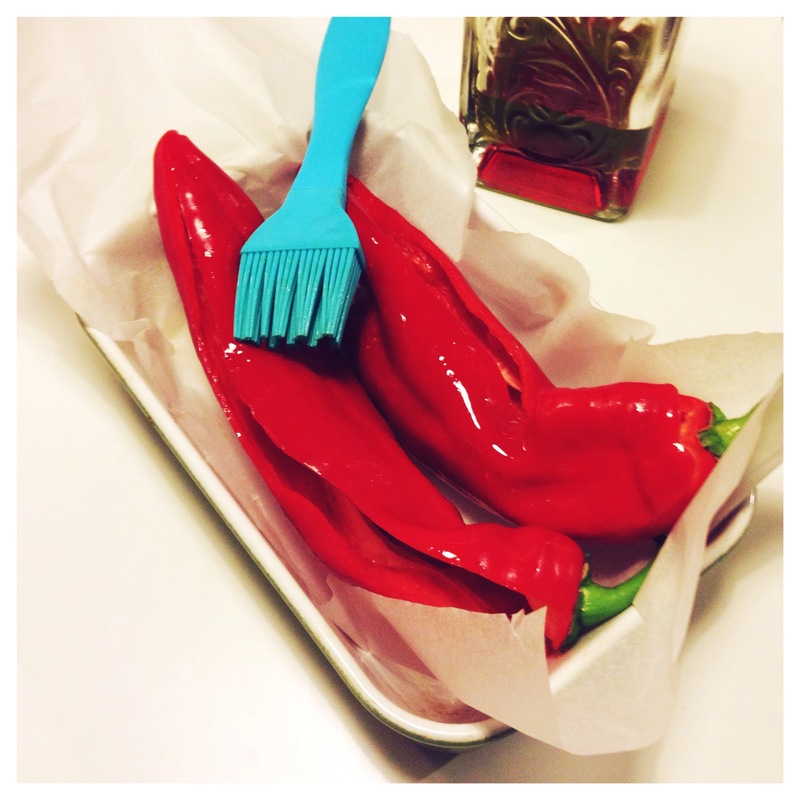 Brush your peppers with olive oil in and outside. 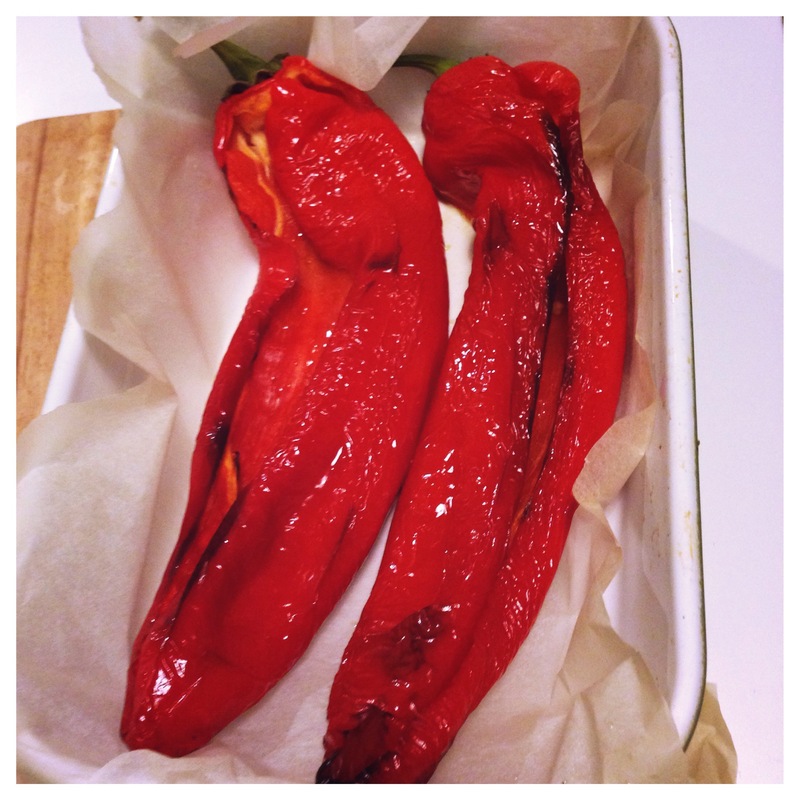 Place them on a sheet of grease proof paper in an ovenproof dish and roast for 20 minutes. 2. 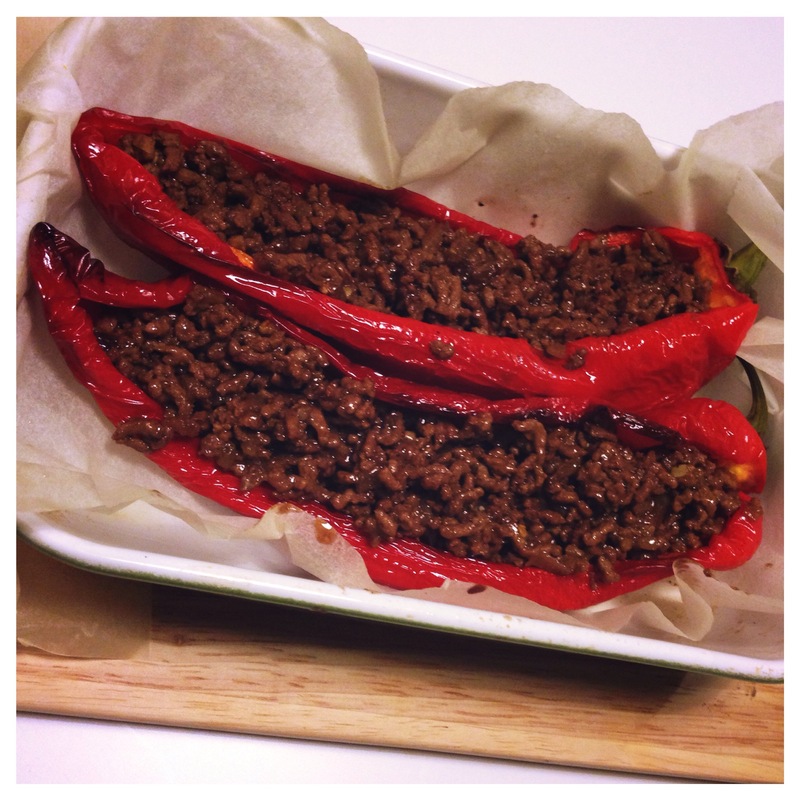 While your peppers are roasting heat up some olive oil on a frying pan and fry the onion until it becomes transparent add chilli flakes, garlic and mince meat. 3. When meat is brown add whisky and stock and simmer for 15-20 minutes. 4. When your peppers are done take them out of the oven and fill them generously with meat. 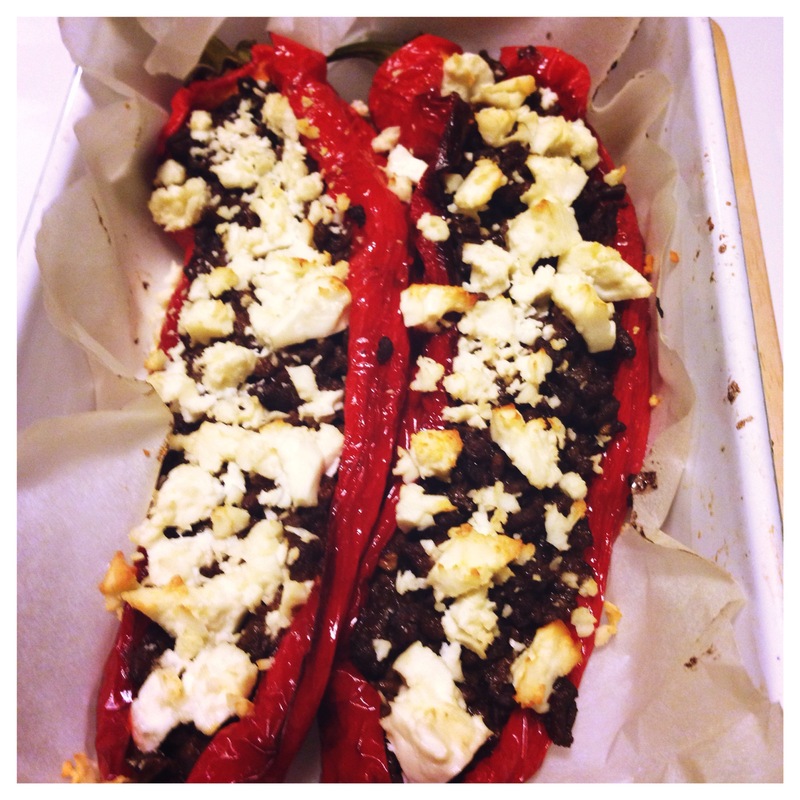 To finish grumble some feta cheese on top and put back in the oven for additional 10 minutes. They are ready when cheese starts to get brown on the edges.